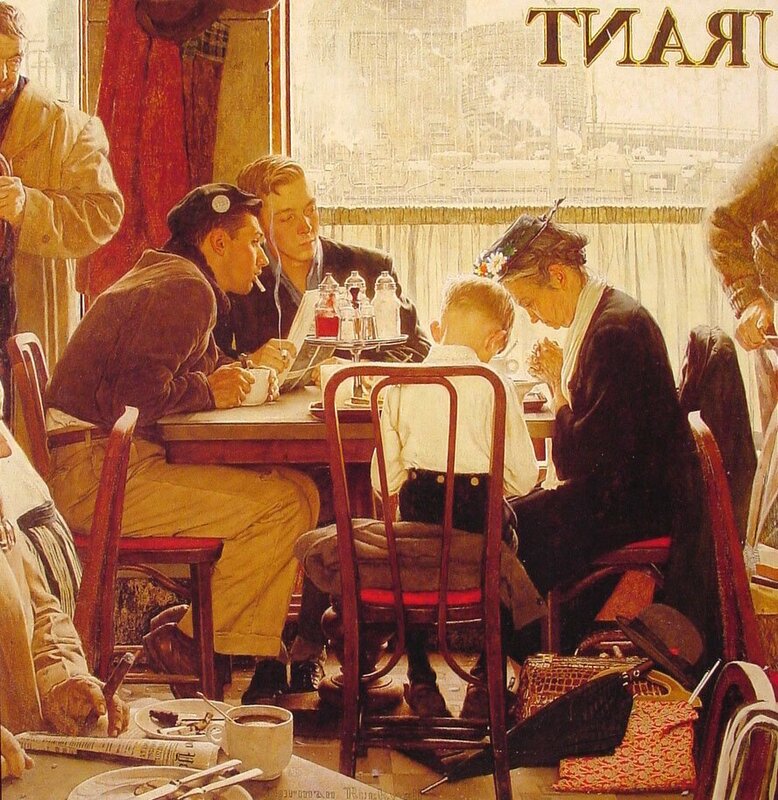 Norman Rockwell’s painting Saying Grace has been sold for $46 million at Sotheby’s in New York, a new record for a piece of American art sold at auction. Saying Grace shows a crowded restaurant with a grandmother and grandson bowed in prayer at a table they are sharing with two young men. The painting’s pre-sale estimate by Sotheby’s was $15 million to $20 million. The buyer’s identity was not disclosed. Ten Norman Rockwell works in total were sold at the auction. The Gossips sold on Wednesday for just under $8.5 million, while Walking to Church fetched more than $3.2 million. Many came from the family of Kenneth Stuart, the art editor at the Saturday Evening Post at the time when many of Norman Rockwell’s paintings were featured on the magazine’s covers. The paintings were part of a larger American art auction at Sotheby’s that took in almost $84 milion in total proceeds. The previous record for the sale of an American painting at auction was set in 1999, also at Sotheby’s, when George Bellows’ Polo Crowd sold for $27.7 million.